The Writer’s Share brings three extraordinarily songwriters and performers to The WorkPlay Theater. 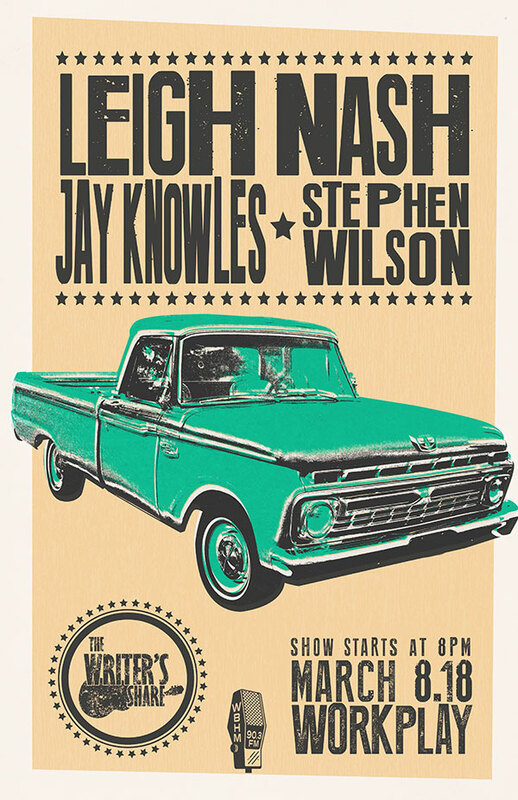 Don’t miss this opportunity to hear the songs and stories of one of our favorites, Jay Knowles, when he returns to Birmingham with Leigh Nash and Stephen Wilson. The doors open at 7:00 pm and the show starts at 8:00 pm (or thereabouts).